Season two picks up in 2162, and Josh, Wolf, and Tiger learn that their season one mission to stop the cure from getting out didn't work. In this timeline, Stu Camillo is now in power, having created the cure, and launched a plan to relocate humanity to Mars. A shadowy organization called the Pointed Circle seeks to recruit Josh to take Stu down -- but are they the good guys, or is Stu? As Wolf quickly acclimates to the strange customs of this time, Tiger struggles with her Biotic identity and searches for an escape. 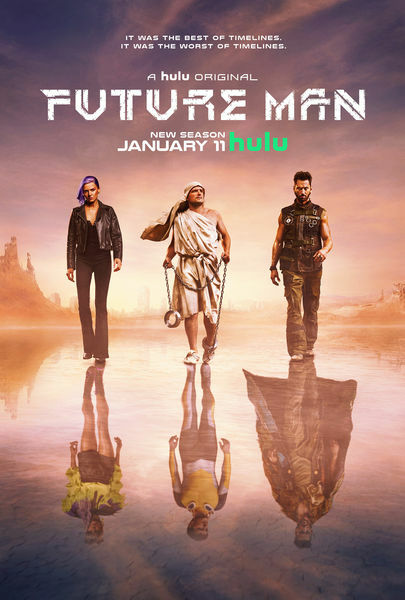 Josh unites the team in an epic plan to save the world, but their time-traveling catches up to them, and they must reckon with their choices and what to do next.